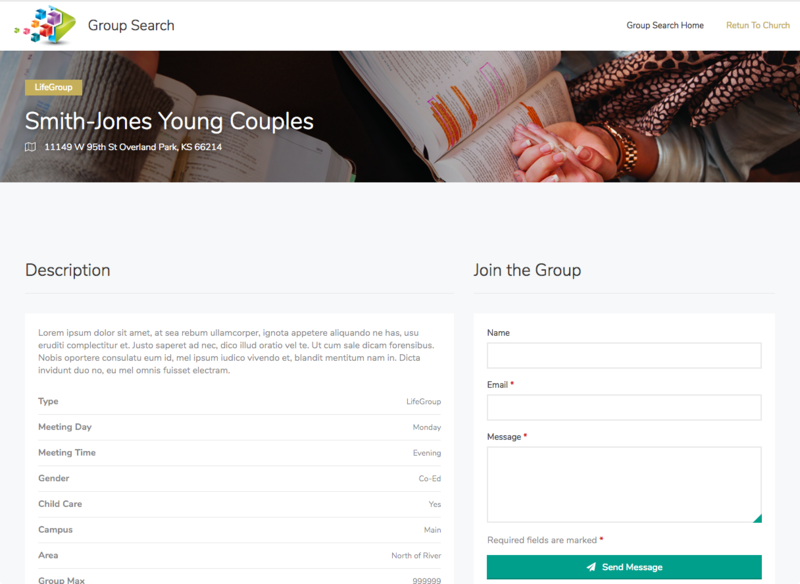 GroupSearch is an easy-to-use search interface helping church members find the perfect group. When integrated with CCB, it's a must for every church. 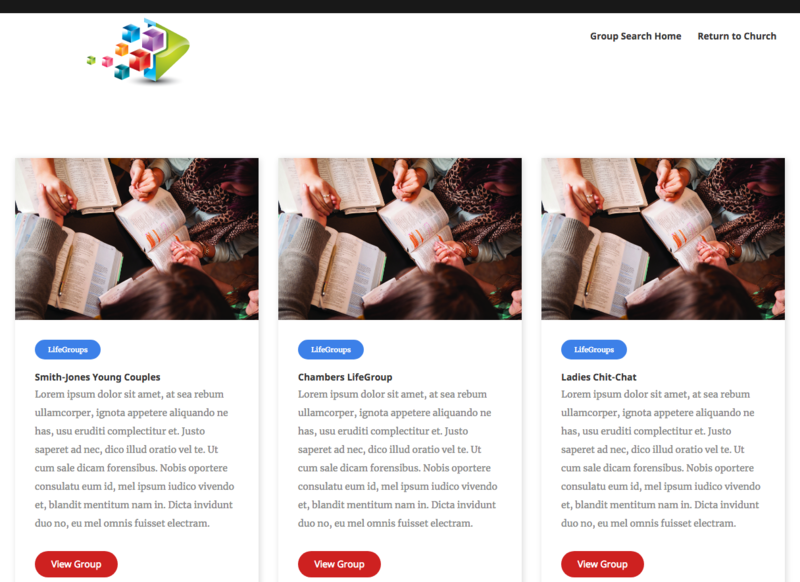 GroupSearch was built with CCB in mind. 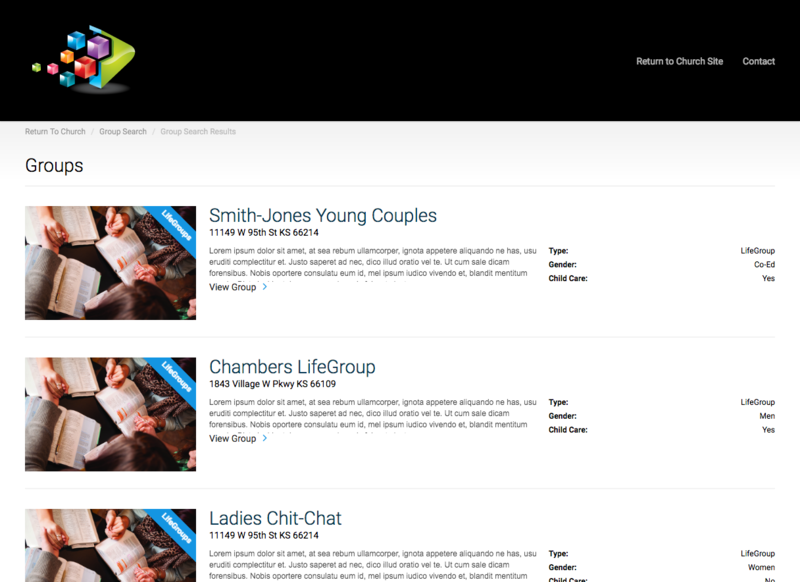 If your church subscribes to CCB, your groups will automatically be updated via the CCB API. Users can even be automatically added. 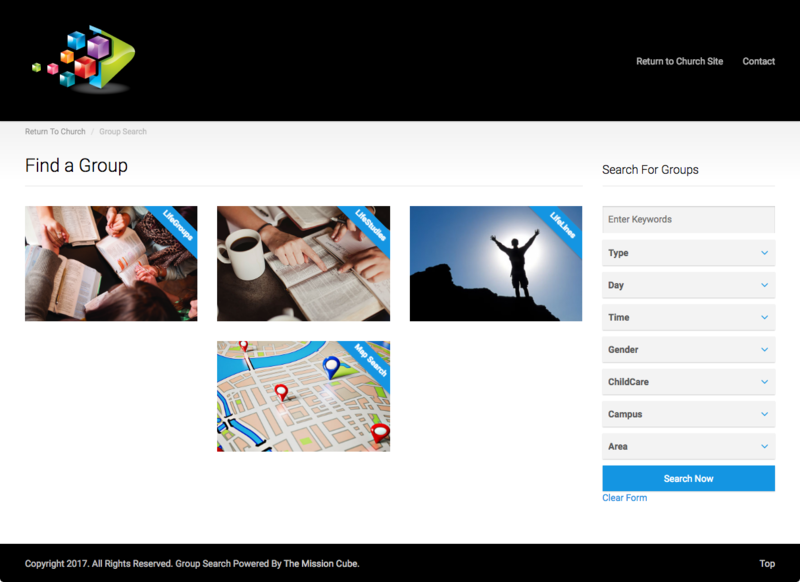 GroupSearch allows for a variety of templates based on the plan you choose. 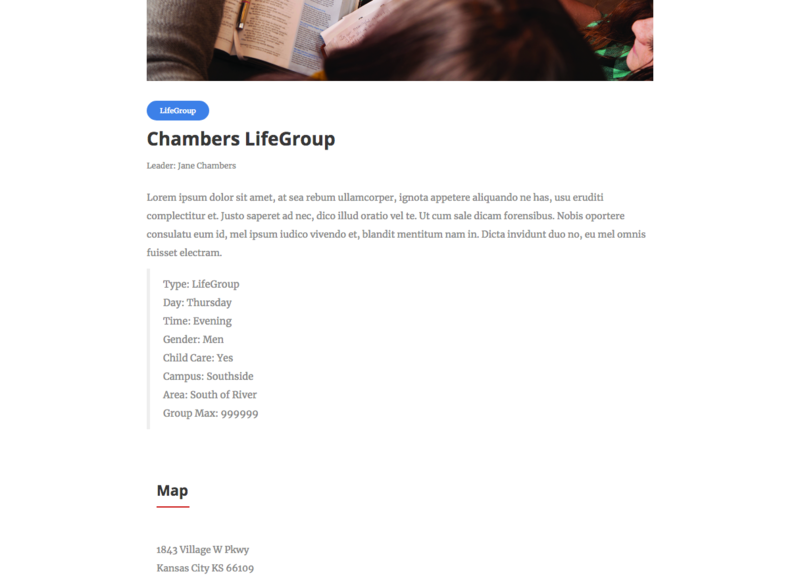 You can choose the template that works best for your church and website. After signing up, we'll do all the work for you. Our goal is to make the process easy and simple for your church so you can focus on the bigger picture. 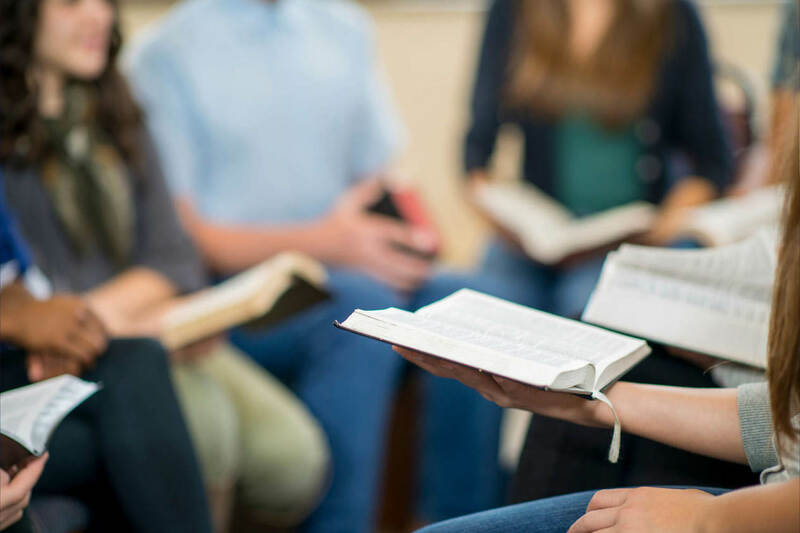 When a user signs up for a group, there are multiple ways a church can setup what happens next. Emails can go out or the user is added to CCB. 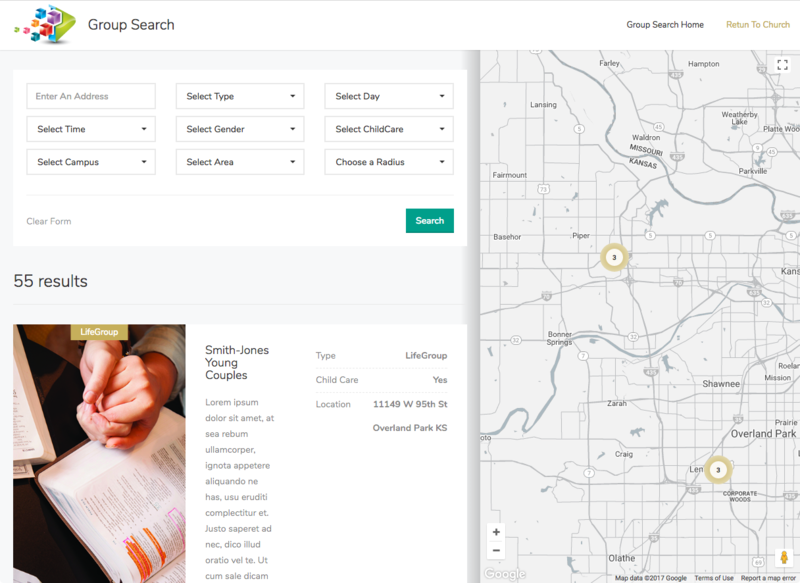 Starting with the Standard Plan, churches will be able to let their congregation search with a map interface so they can find the closest group in their area. Want a template that matches your site more closely than we currently have? We may be able to help with that. Contact us to find out more. View some of the template screenshots. The Mission Cube © 2019 All rights reserved.